Taman Ayun Temple, royal temple of Mengwi Empire. Landmark of Bali. Indonesia. hd00:07Aerial View: Slow orbit around a Balinese Hindu temple, Indonesia. 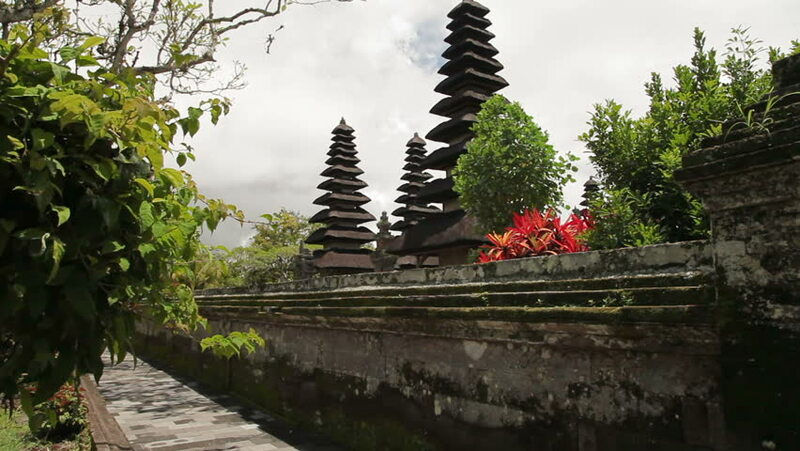 hd00:15Trees surrounds buildings of the Besakih Temple complex in Bali.